A study by two economics professors produced evidence of something that has long been suspected: The point spread plays a significant role in viewing interest, at times producing 30 percent spikes in TV ratings on noncompetitive games. The study, authored by professors Steven Salaga of Texas A&M University and Scott Tainsky of the University of Illinois, compared a sample of college football games from 2005 to 2009 with Nielsen television ratings. They focused on noncompetitive games with large point spreads and discovered viewers were staying tuned in to games longer when either team had a chance to cover the spread. 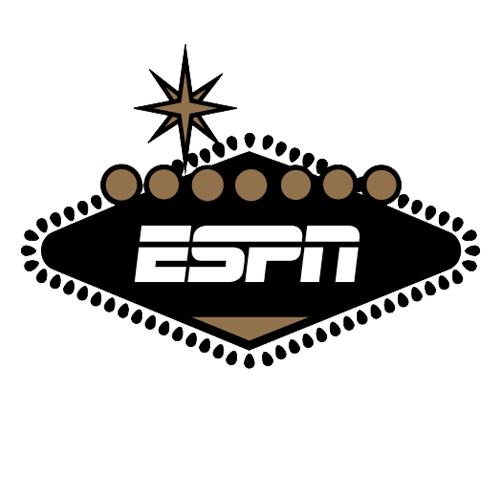 "The issue is separating out whether or not people are watching because it's a good game or because they're interested in the gambling market," Salaga told ESPN Chalk. "Once we figured out how we could separate it out, we just thought we had to do this and see if we found anything. The results were pretty strong." The study, which was recently published in the respected economics journal Economics Letters, was centered on three groups of games, ones with point spreads of at least 14, 21 or 28. The professors then narrowed down the sample to games in which the favorite was winning by at least 10 points heading into the fourth quarter. "In the sample of games with point spreads of at least 21 points," Salaga explained, "if we had seven-point moves closer to the spread, that equaled about a 1.235 ratings point increase, which is about 30 percent of the overall game rating on average. So you're talking about a pretty big shift in television ratings just based on basically a one-score change in reference to the spread. You're talking big changes. There's really strong evidence, even in these games that weren't close and weren't expected to be close, we're seeing that people are watching or not watching based on what happens in relationship to the point spread. If you're interested in gambling, it's pretty exciting." Salaga also discovered that more viewers stuck with games that stayed under the over/under total. "Games that go over the total, ratings are lower at statistically significant levels, so once the game goes over, we're seeing that consumers are actually moving away from the games; viewership declines," Salaga said. "The games that stay under the total, we're seeing higher ratings in this sample of games. "In the games with a spread equal or greater to 28, only 23 percent of those games went over, which is kind of an anomaly," he added, "but we had higher ratings in those games, where the game didn't go over. So people are staying through to watch the game to see if it goes over." The sample size, which included only games involving teams in what was then the Pac-10, is admittedly limited, Salaga said, but future studies are in the works. He has acquired data for college basketball and ultimately would like to use the study on the NBA. "Ideally, we would have liked to do this for the NBA, based on all the things [NBA commissioner] Adam Silver has said over the last couple months," Salaga said.